The new Chromebook 11 comes with an 11.6-inch display and offers both touch and non-touch screen options. Acer has announced their new Chromebook 11 laptop at CES 2018. It features an 11.6-inch display and comes with two USB 3.1 Type-C ports. The Chromebook boasts of up to 10 hours of battery life and comes with both touch and non-touch display options. Several models in the Acer Chromebook 11 line (CB311-8HT/ CB311-8H) will be available in North America starting April 2018 and will be priced starting at $249, and in EMEA in March with prices starting at €249. 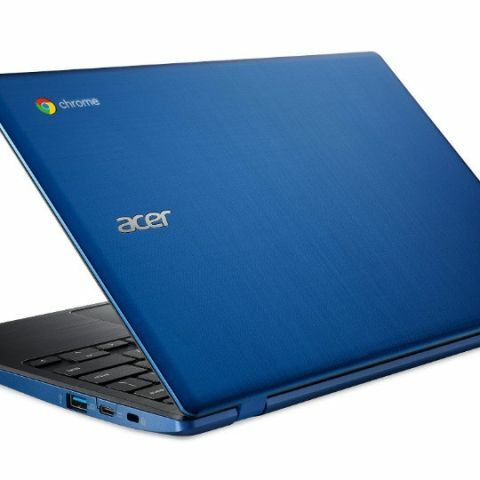 The Acer Chromebook 11 has an 11.6-inch IPS[ii] display available in either touch (CB311-8HT) or non-touch (CB311-8H) models with 1366x768 resolution to provide sharp and legible text as well as vivid, clear videos and photos. The high-dynamic range (HDR) camera produces clear and brighter photos as well as video for Google Hangouts and webchats. The dual stereo speakers and integrated microphone enhance the webcam experience with high-quality audio. Chromebooks are easy to use and ideal for sharing by multiple users. Customers simply log into their own Google account to access their Gmail, Google Docs, apps, extensions, bookmarks, and other information. Chrome OS provides additional security since it’s automatically updated to guard against ever-changing online threats. Many Chromebook customers store their files on Google Drive[iii] which protects files, documents, and photos safely in the cloud, and ensures that the most current version of the file or document is always available and safe, even if the Chromebook is lost or stolen.